Dubai is a unique and fascinating cocktail of ‘east-meets-west’ and ‘old-meets-new’. All year round glorious sunshine, warm inviting Arabian Gulf waters and a majestic desert tell only one side of the story. This intriguing destination is simply the ultimate destination. It offers a flavour of Arabia alongside a chic and cosmopolitan lifestyle. Relax and chill out on uncrowded pristine beaches however, if you prefer to be more active there is plenty of pursuits to entertain including watersports, desert safaris, camel rides, horseracing and dune driving. You can shop till you drop in the exotic souks selling carpets, spices and gold, Bedouin villages and designer shopping and with superb duty-free shopping there are bargains to be had, exotic souks. In addition, over recent years Dubai has become an increasingly popular destination for golfing trips, with a selection of championship courses available to challenge the most accomplished of golfers. 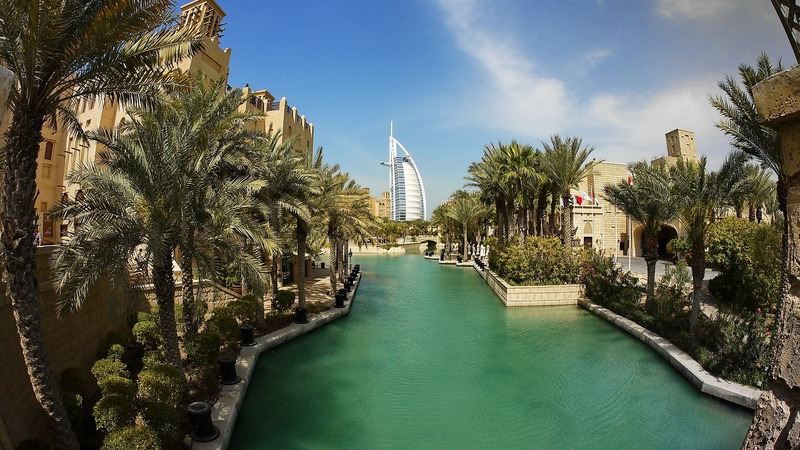 Beyond the hotels and resorts, there are endless opportunities to experience the diversity of Dubai. From 4-wheel drives or camel riding in the dunes of the desert, excursions into the Hajar Mountains and moonlit cruises along the Creek, to snow-skiing and tobogganing in the Snowdome. As the world’s third largest indoor ski slope, the piste will excite and challenge all levels of skiers or maybe you prefer to treat yourself to Afternoon Tea at the Burj Al Arab’s Skyview Bar or or ascend the world’s building – The Burj Khalifa. Dubai especially has developed a reputation for its bold and innovative approach in creating architectural wonders, and for its cutting-edge infrastructure, architecture and design.